Limay River amphitheater (anfiteatro) is a Nature Marvel in the middle of Patagonian steppes. At 32 km from Bariloche the Limay River (originating from the Lake Nahuel Huapi) makes a surprising turn following the shape of the valley formed during the last glacial period. It looks like a natural amphitheater of spectacular beauty staging the flow of the river across the time. The real beauty of the place is not only due to its geological form resembling old Roman amphitheaters but also to the contrast of colors – not expected to be seen on Patagonian steppe. 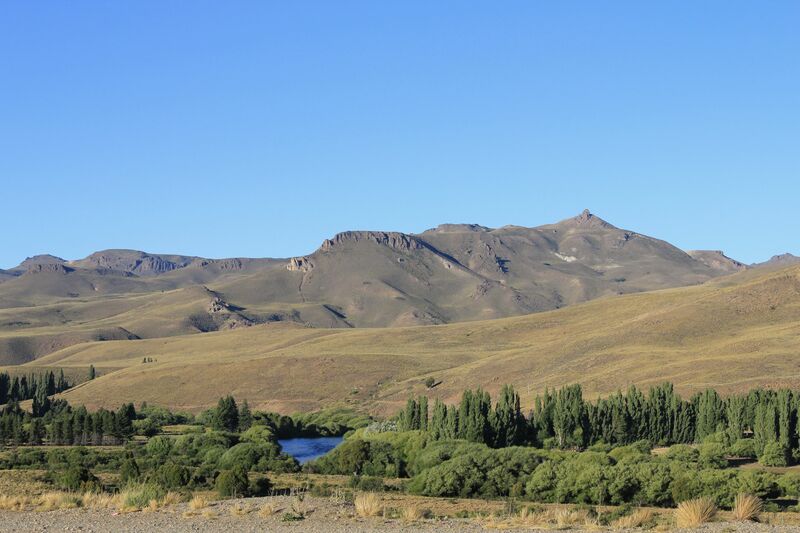 Think about islands of dark green trees and grass, turquoise-like waters of the meandering river, spotlessly blue sky and as a background of this canvas – the brown-reddish palette of colors of the steppe. Well, like a paint-brush image left by a skillful hand of an Impressionist. It is all about fresh water..... even steppe may look like a paradise.